Twitter Beginner? – 4 Steps to Accelerate Yourself on Twitter……. 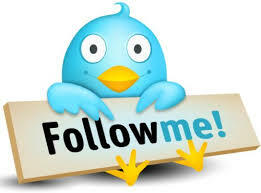 Twitter Bird Logo with a sign saying Follow Me! If you are new to Twitter or just want to get the most out of your Twitter usage this series of blogs are an easy step by step guide to help you on your way. In my work training people on twitter the question I get asked most is, how can I get up and running quickly on Twitter? New to Twitter? – Slow Down! 50% of global Twitter accounts don’t Tweet. Set up a Twitter account and start following your customers, Heros, Fav Teams etc. Get used to using the app on your mobile. Start to build time in your week for Twitter. Follow the Influencers in your Niche. The journalists, opinion formers, periodicals, Supplier, Competitors and Thought Leaders.